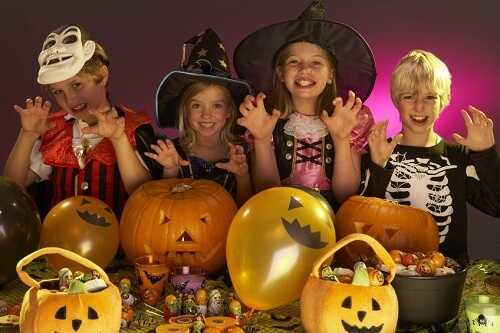 Halloween is not only about teaching good manners, but also about teaching some bad things. The treats on Halloween are typically accompanied by tricks. Some pranks are really fun and inoffensive, while others can be rather harmful to one’s health, well-being and property. Some older children and teenagers can set a bad example through pranks like throwing eggs on houses or putting toilet paper in yards. Younger children can learn to mimic bad behavior if you aren’t careful. Make it clear that there are acceptable and unacceptable things and your child should see the difference between the two. Threads and punishment will hardly prevent your child from behaving poorly, but your personal example and open dialogue can help to avoid any incidents.